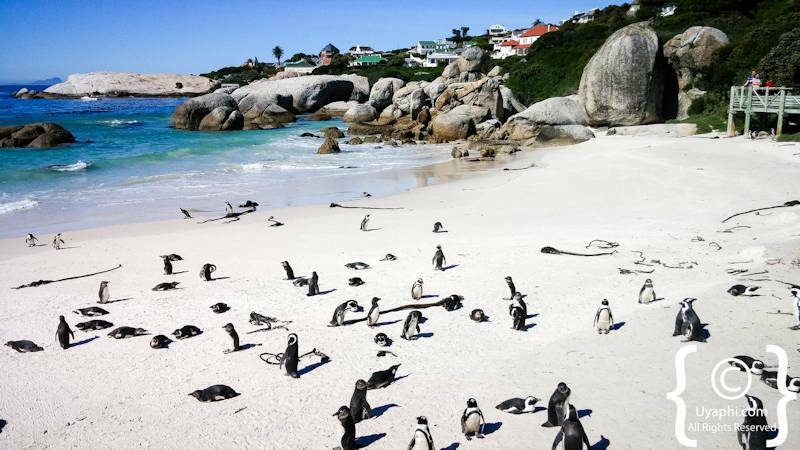 Boulders Beach South Africa is one of the very few spots on the planet where one can get up close and personal with Penguins. 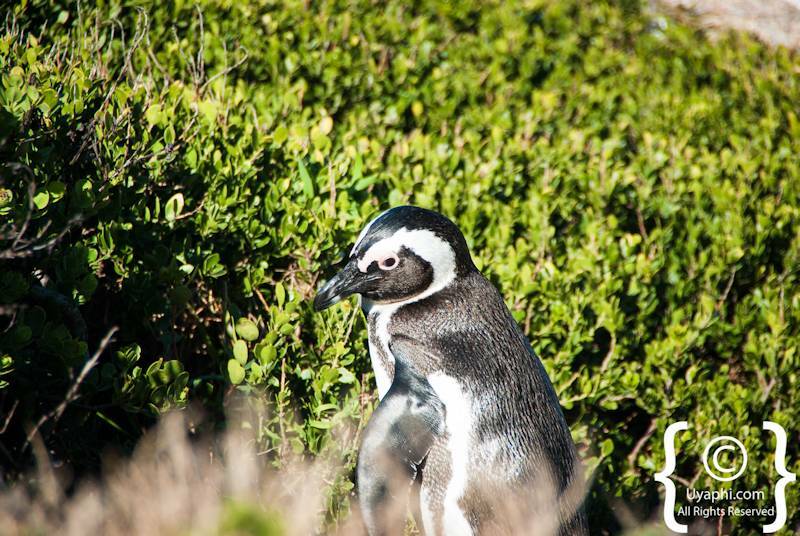 So close in fact that one does not need a good camera, some of the below photographs were taken on a cell phone camera! 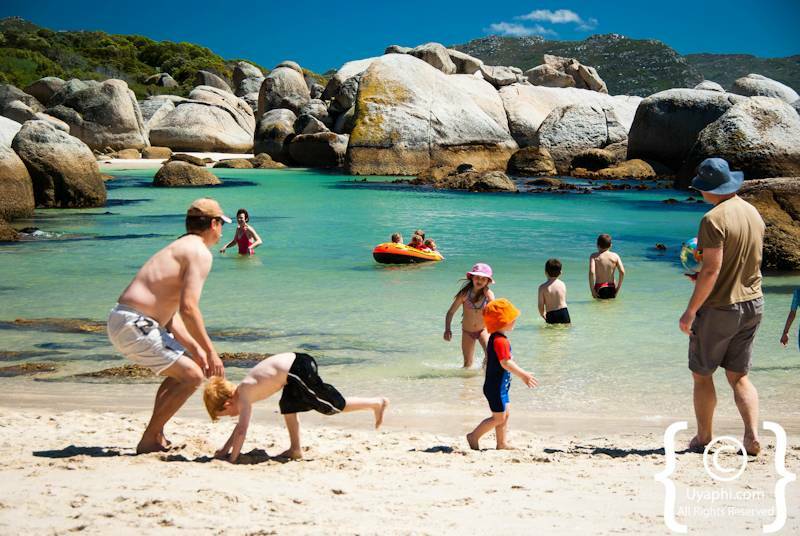 This is a great stop over for the entire family, young and old. 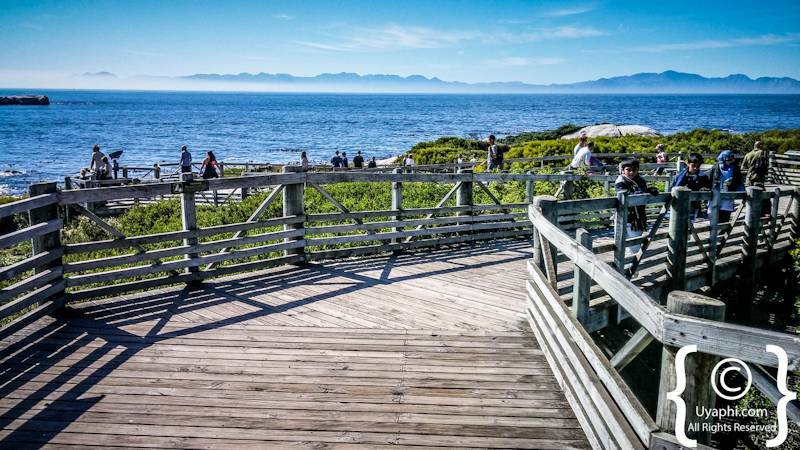 The wooden walkways all have gentle slopes and are wheel chair friendly, although one has to stick to the walk-ways or face the wrath of a parks board official and/or penguin. 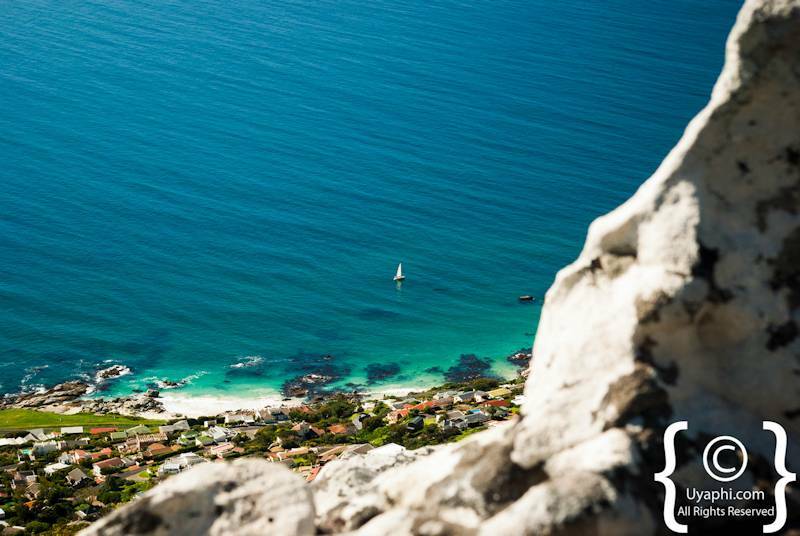 The views for here are simply amazing, looking out over False Bay onto mountains some 60km away. 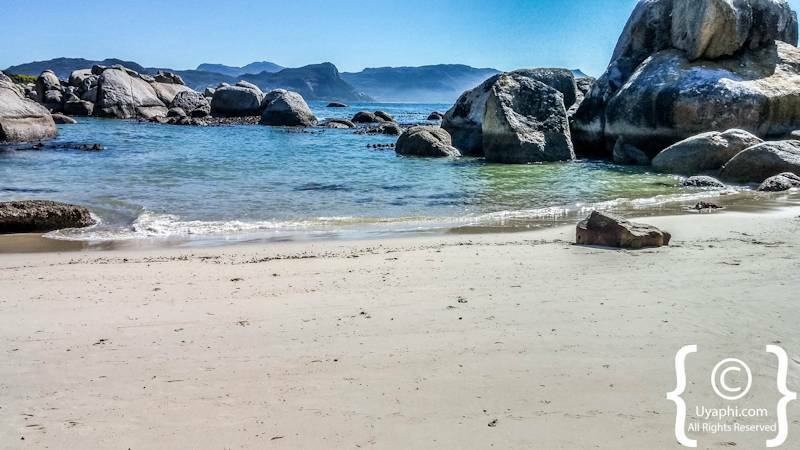 If you have a pair of swim shorts and/or bikini on hand, there are some fantastic little beaches in the area, more for sun tanning as the water is rather chilly at the best of times. 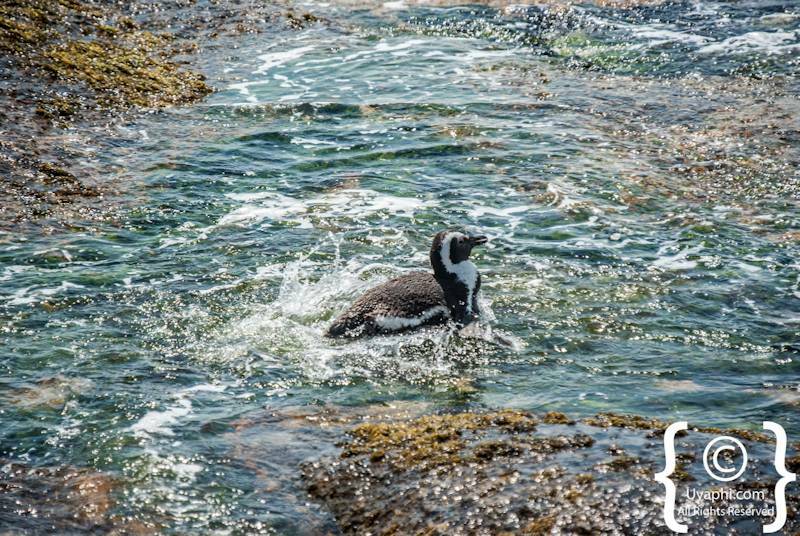 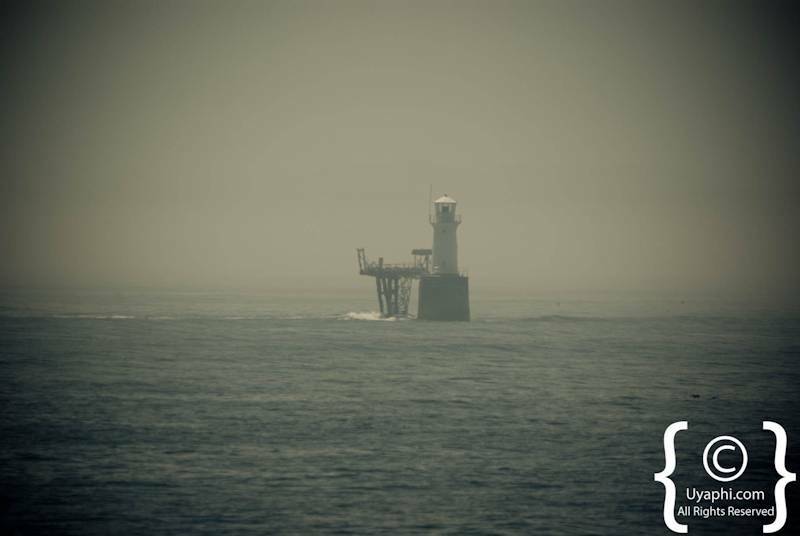 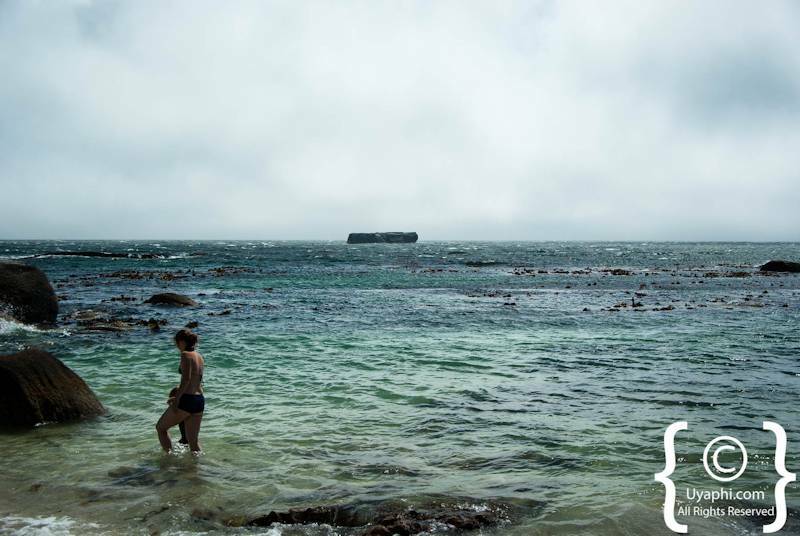 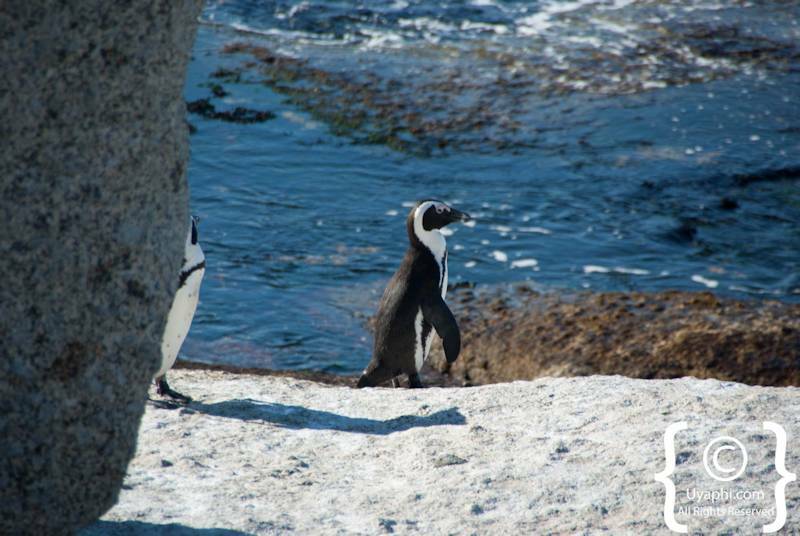 We have in the past gone snorkelling between some of the boulders and seen Penguins swimming past us. 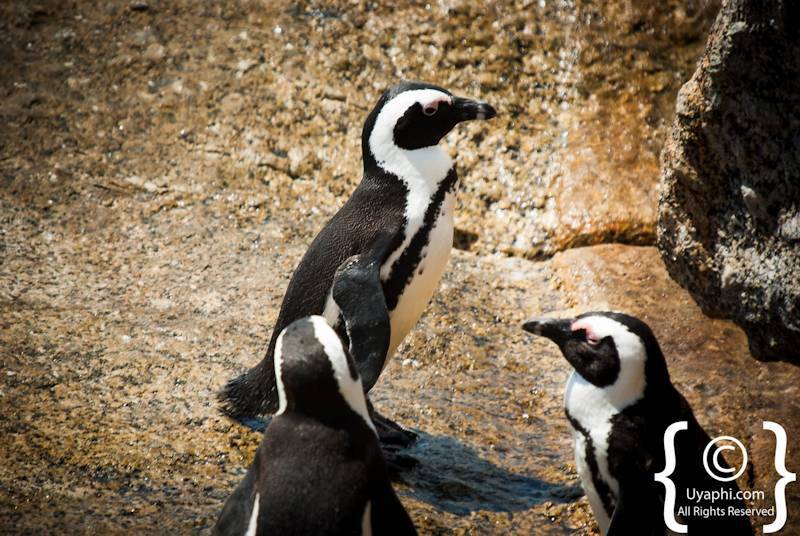 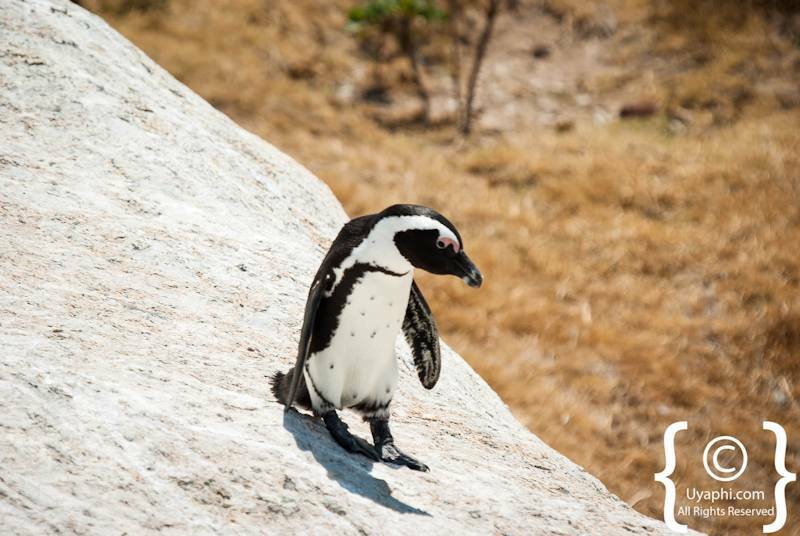 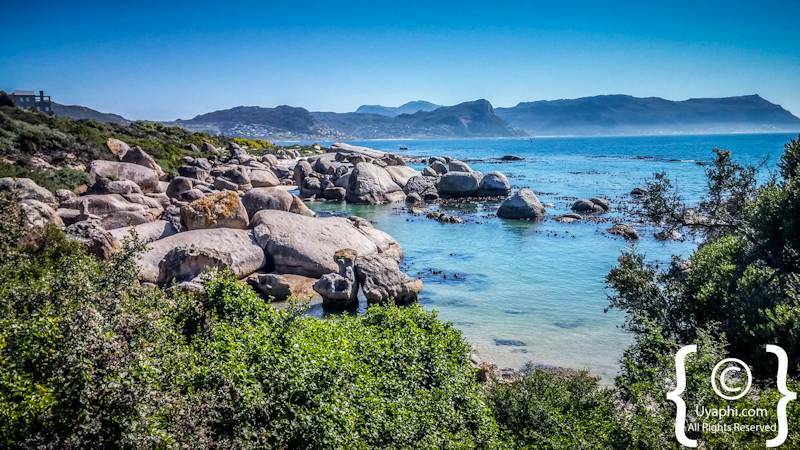 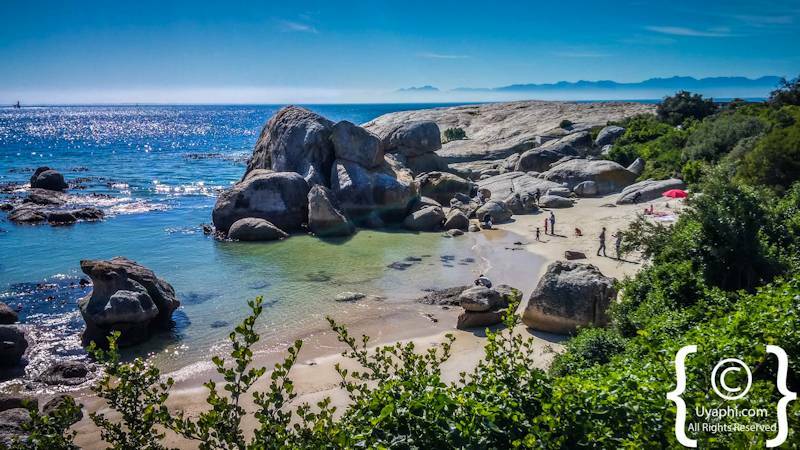 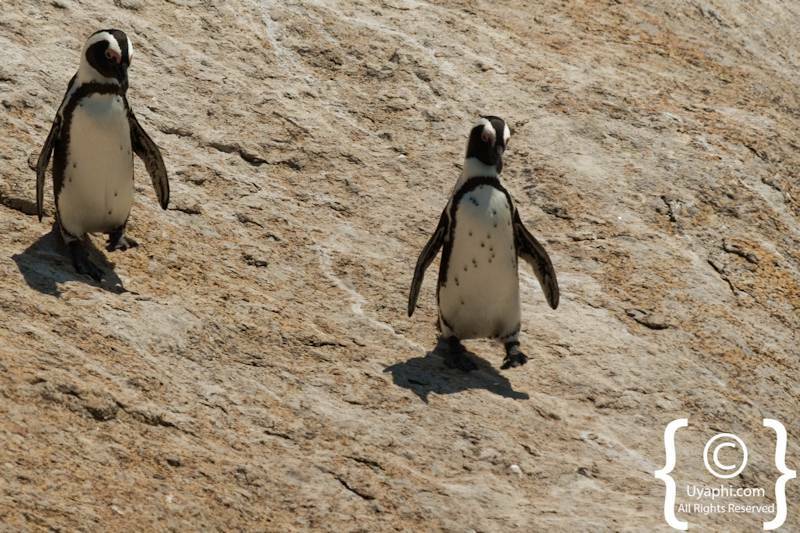 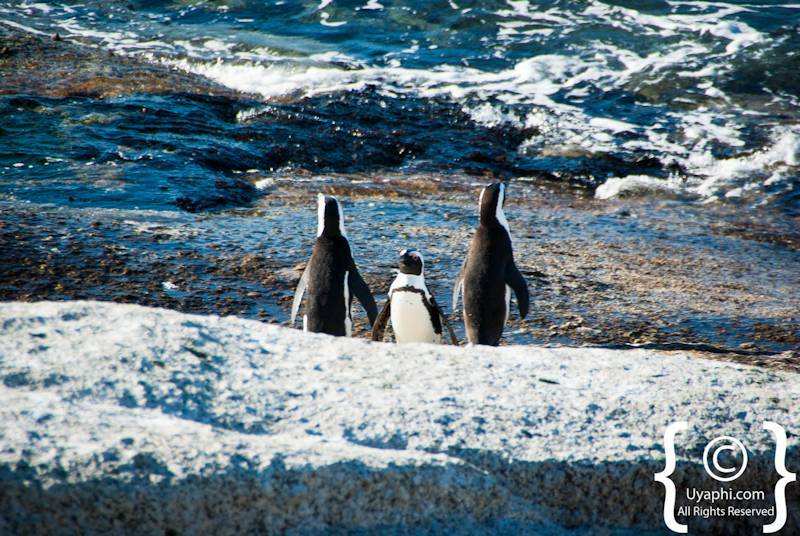 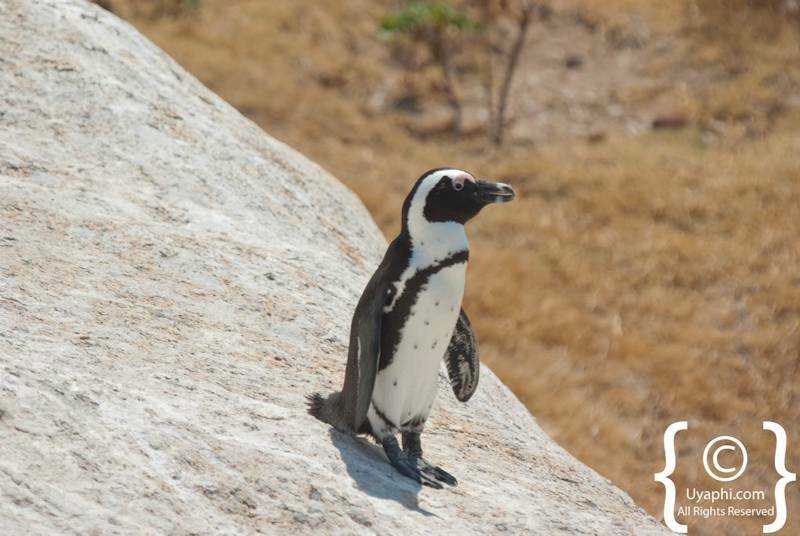 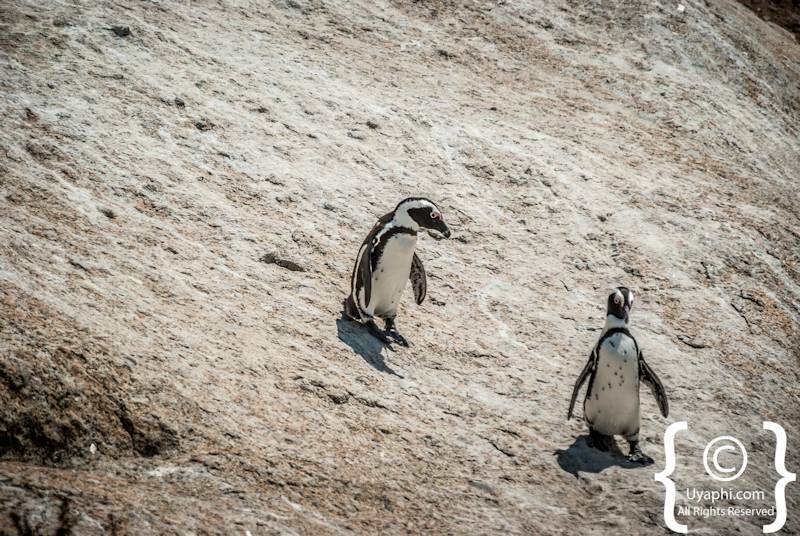 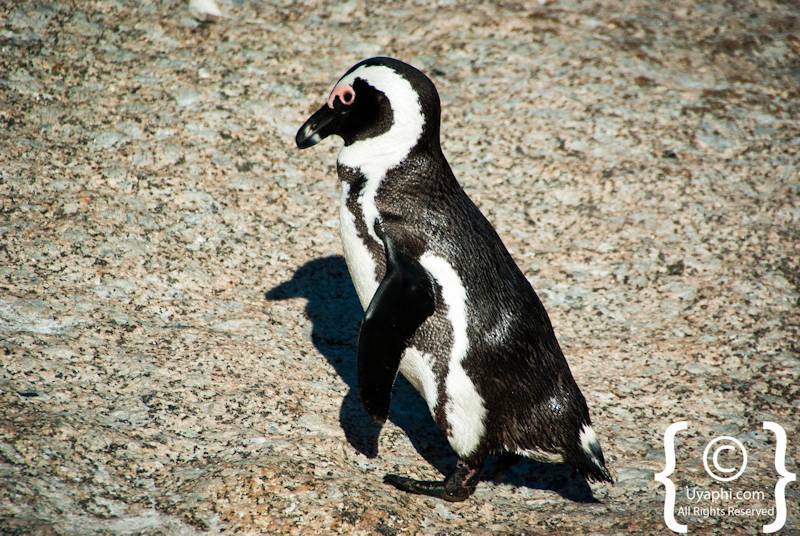 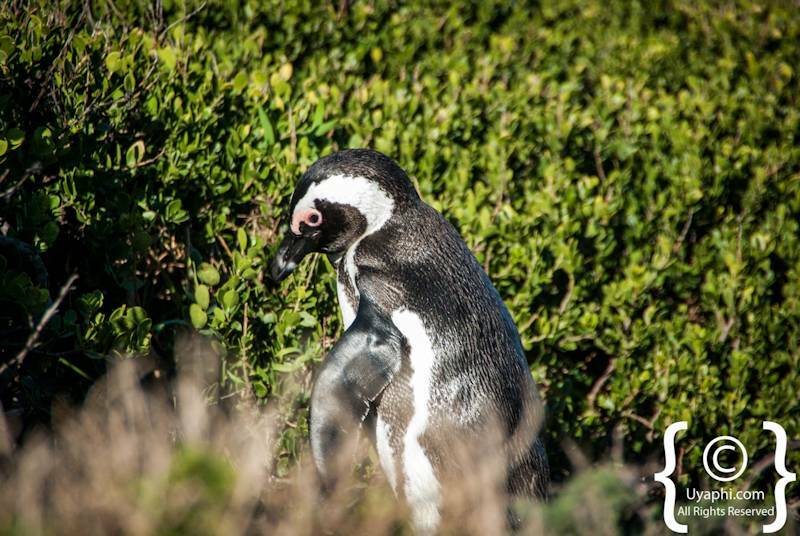 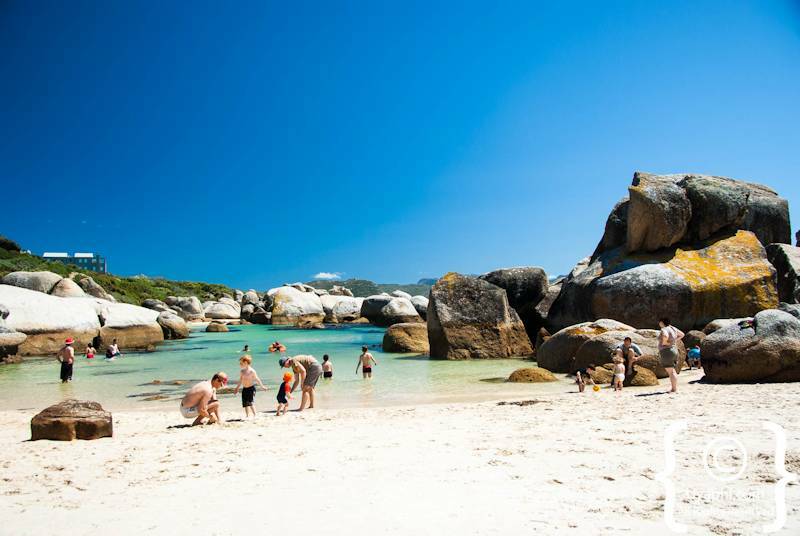 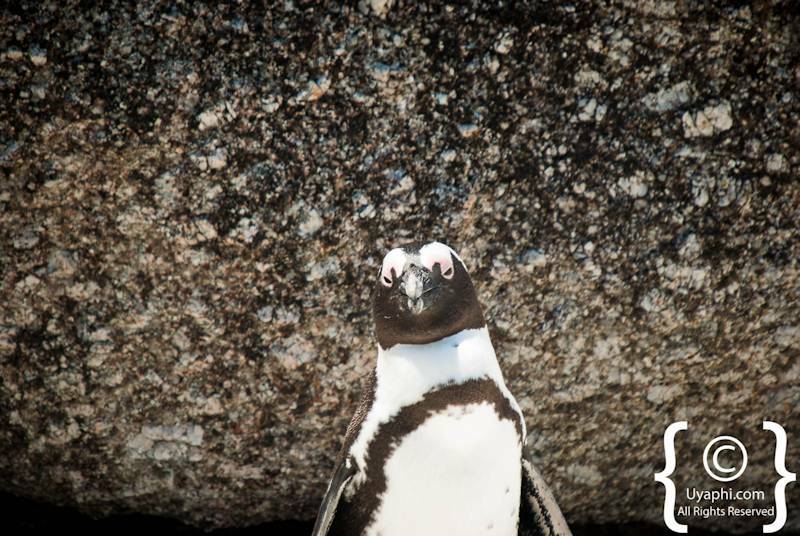 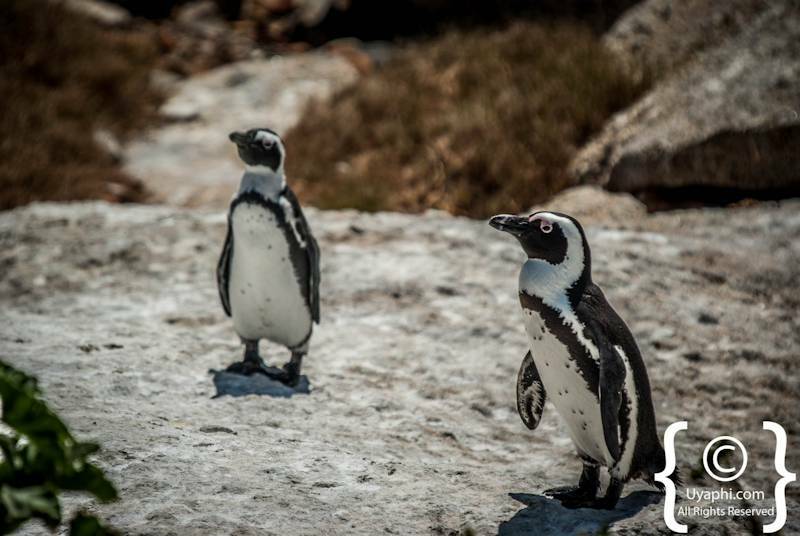 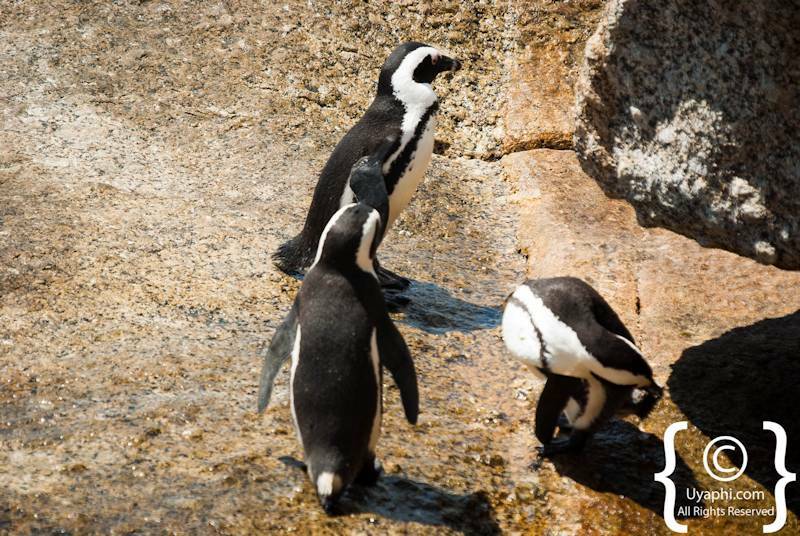 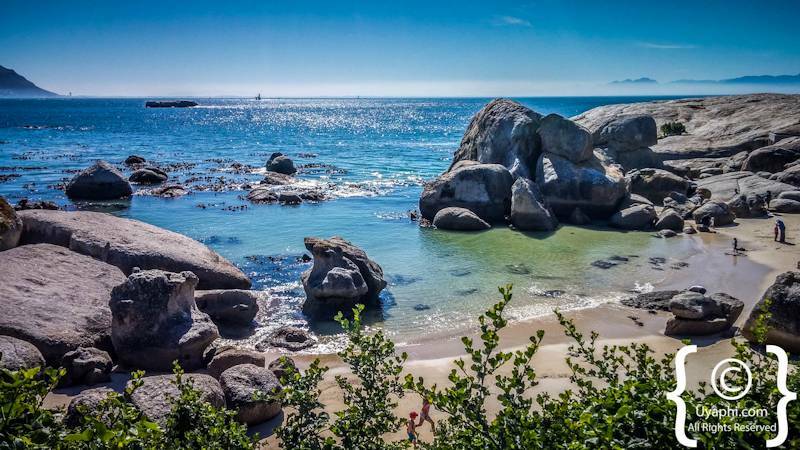 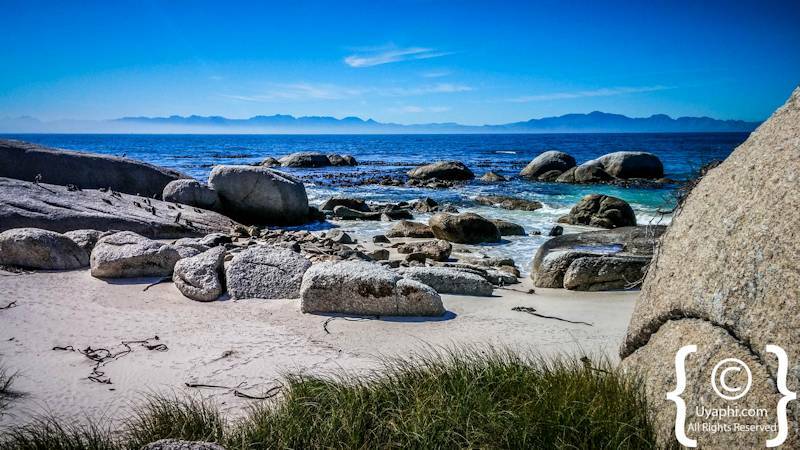 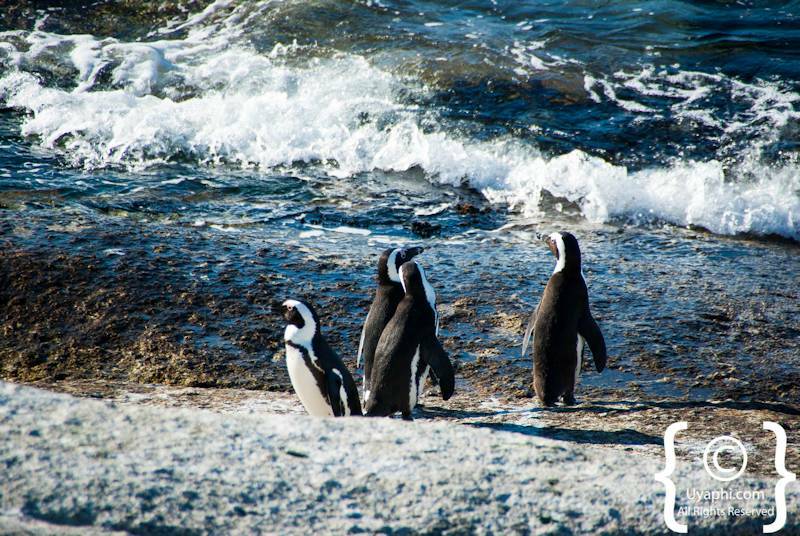 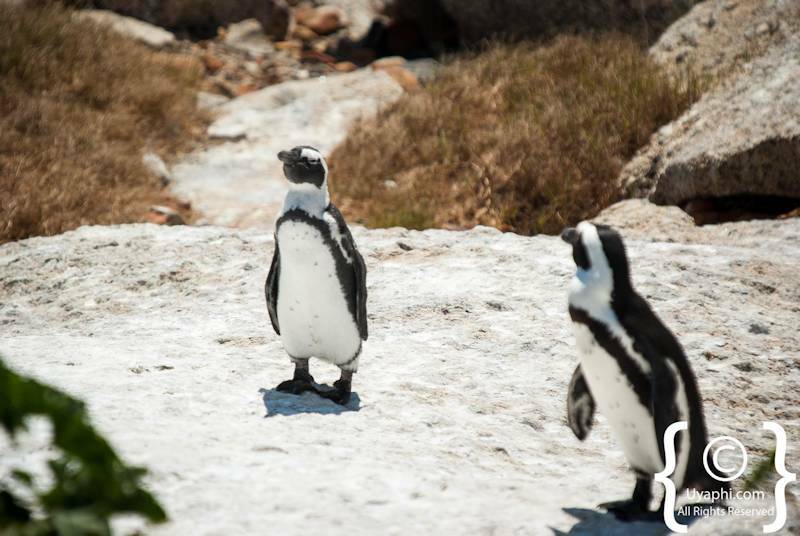 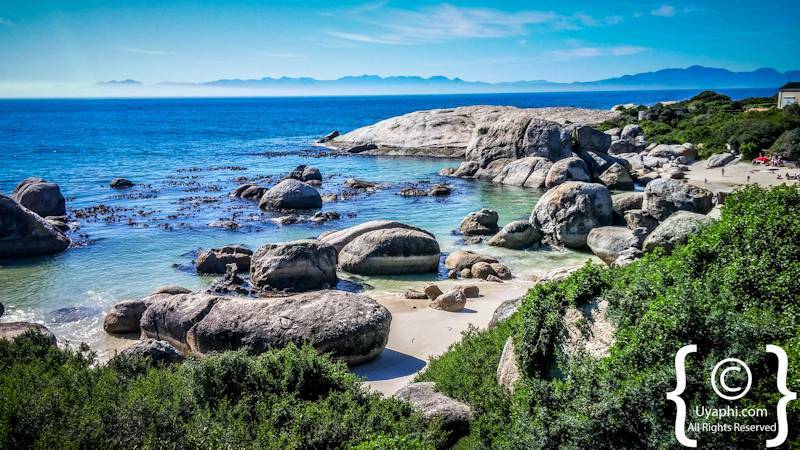 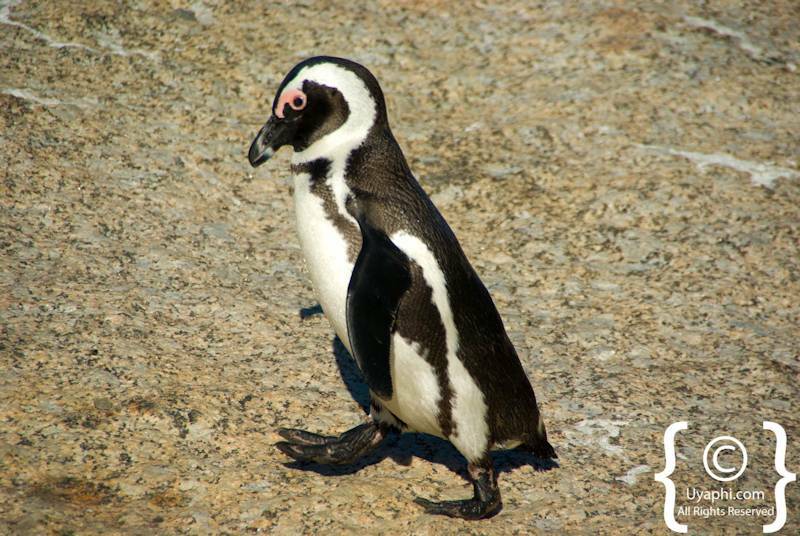 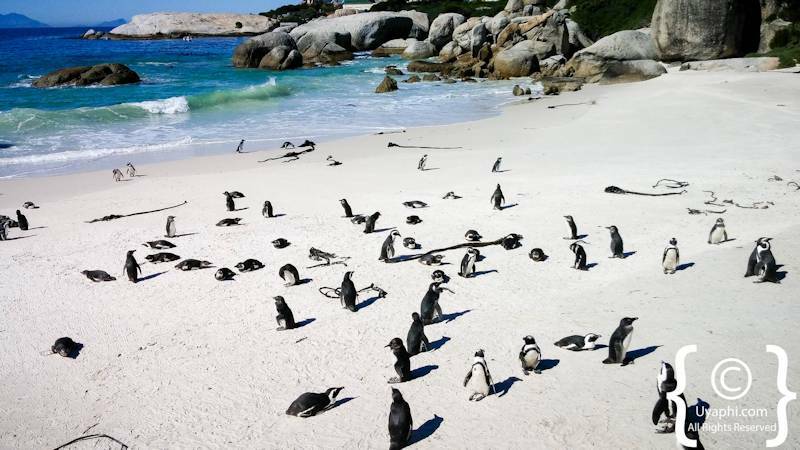 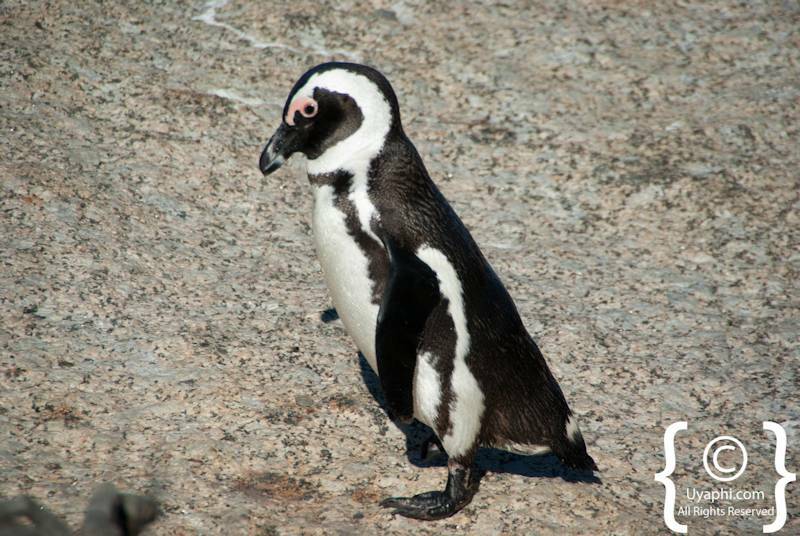 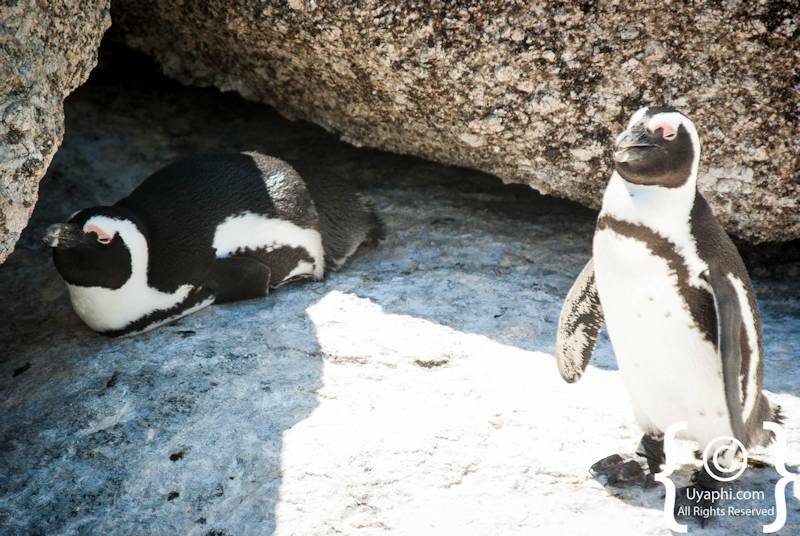 Is Boulders Beach South Africa worth a stop over? 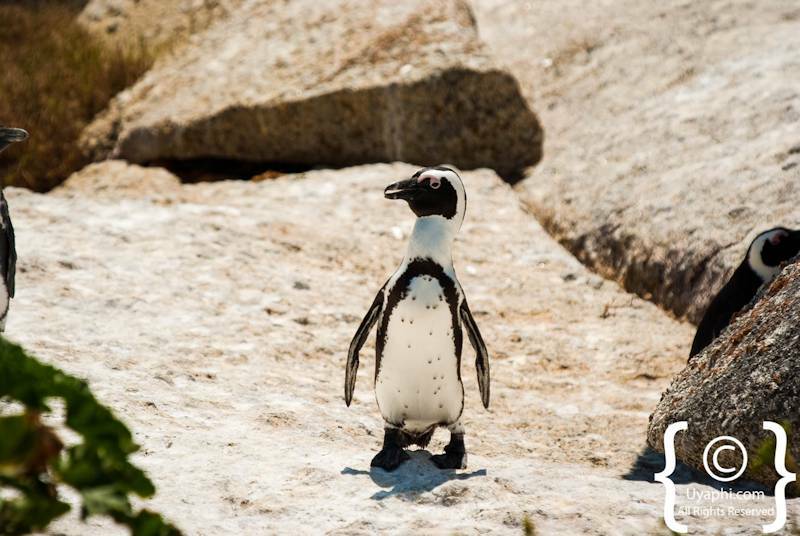 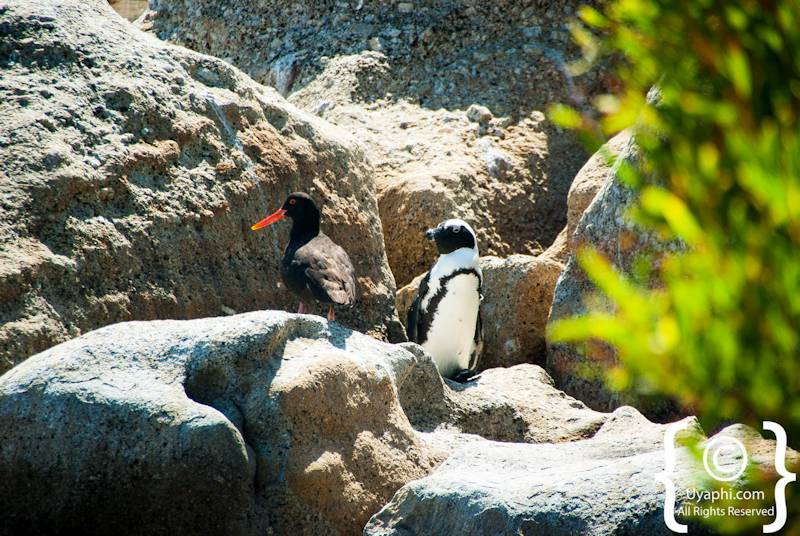 Oh yes, where else are you going to see these little critters in their natural environment (other than Betty's Bay in the Overberg of course). 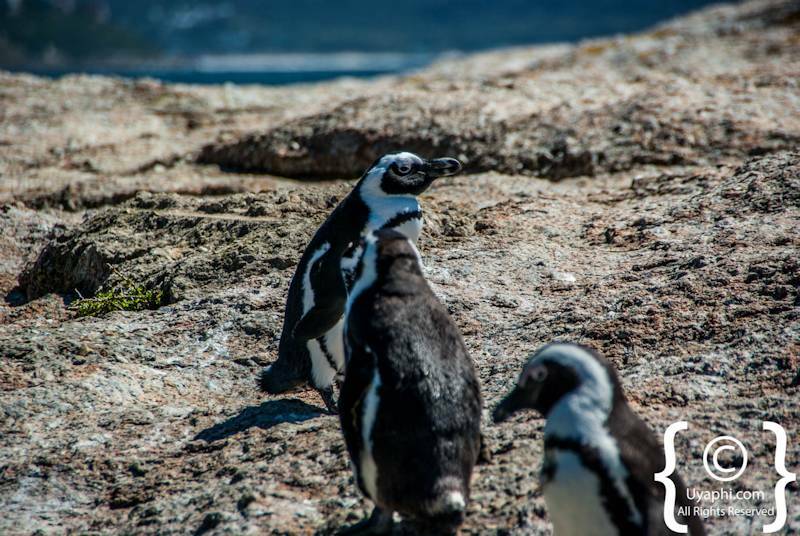 Pros; The views are amazing out over False Bay, Penguins everywhere, The beaches, Really good restaurants in and around Simon's Town. 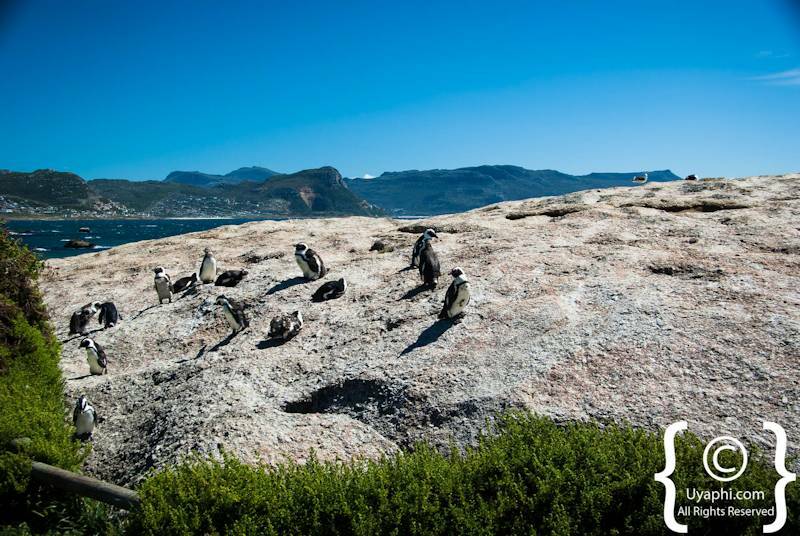 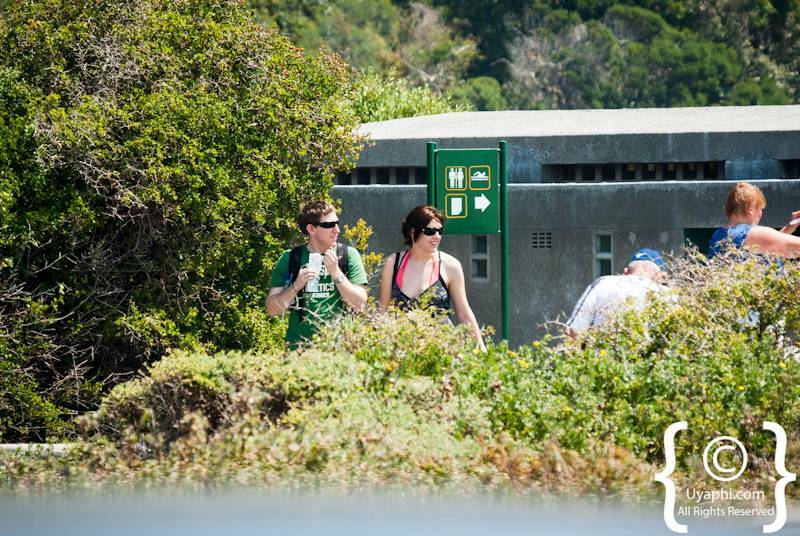 All photographs have been taken by us here at Uyaphi.com with the sole purpose of showcasing the Boulders Beach Cape Town from our point of view.